The North Georgia mountains are synonymous with adventure and some of the best mountain bike trails around, both off road and on! Enjoy miles of trails in perfect solitude with the ultimate mountain scenery. Ellijay is in the heart of some of the most epic mountain biking trails of North Georgia. Join us as we explore some of the finest. Travel along mountain streams and through fields of wildflowers and coves of hardwoods on the Aska Trails, a 17-mile trail system descending to the shores of the crystal clear Lake Blue Ridge in the Chattahoochee National Forest, with trails from 1 to 5 miles ascending up to 3,200 feet with spectacular views of mountain ridges. Another complex system of interconnecting trails is The Jake and Bull Mountain Trail system, offering 36 miles of scenic trails. This is a favorite for equestrians so watch out for the horses! 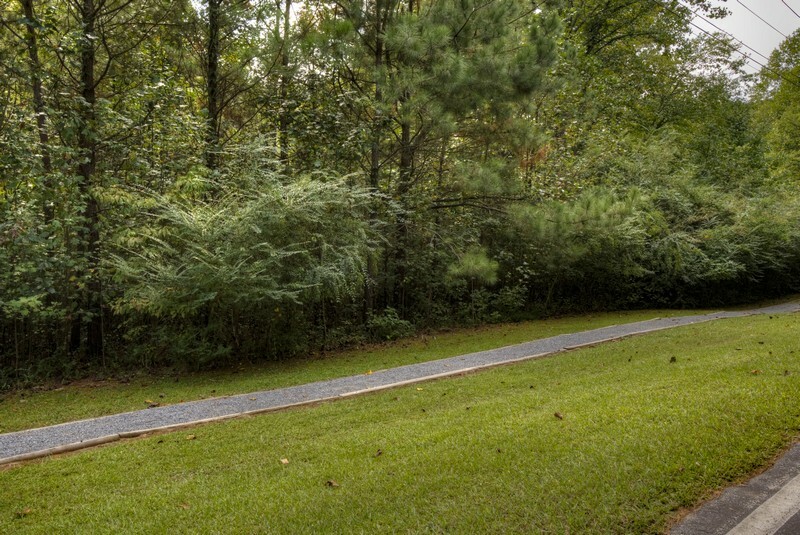 Explore the banks of the picturesque Bear Creek on the 14-mile trail through the valley to the second largest living tree in Georgia, the Gannett Poplar. This trail is 7 miles of uphill climbing with a scenic overlook of Fort Mountain, then a sharp descent back to your starting point. Cool off in a stream crossing and stay alert as bear sightings are common. The Bear Creek Trail splits in a junction with the Pinhoti Trail, an epic 140-mile trail through varying terrain to suit every mountain biker. Blast your way through canopies of lush trees, scenic creek crossings, challenging uphills, tight switchbacks and super fast descents. This is a unique and scenic trail with 100 miles of off-road, 40 miles of road routes and 4 major loop rides between Fort Mountain and Bear Creek. Within the Chattahoochee National Forest lies the Rich Mountain Wilderness Area, an area of high peaks, rugged mountain terrain, hardwood forests, wildlife openings, cool mountain streams and scenic waterfalls. The Cartecay Loop is primarily a single-track trail winding through the Cartecay River and along ridges scattered with old Indian camps, steep climbs and technical downhills. A challenging trail for the true mountain biker worth every bump and bruise just for the scenery. This trail combines with the Red & White and River Loop Mountain Bike Trails. Combine a fun day of biking with a little water sports at the cool waters of Carters Lake, a 3,200-acre remote lake and a favorite among fishermen, boatsmen, hunters and bikers, with trails through wetlands, ponds, high ridges and creeks. The Ridgeway Trail is a 5.6-mile loop around the lake with various trails branching from it. Ride along high ridges overlooking the deep clear waters to the tumbling waters of the waterfall at the end of the trail, the perfect place to rest and wet your feet. 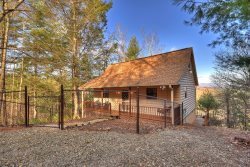 If you love mountain biking, we have a variety of waterfront, mountain view, secluded and private vacation rentals that are perfectly situated to explore the extensive trails in the spectacular North Georgia mountains. Check out our vacation rentals and let us help you find the perfect property for your needs!